If you thought cancer only affected human beings, consider yourself very wrong. Nearly all wild animals are usually affected by cancer. In fact, the only two animals that experience extremely low rates of cancer are the elephants and the naked mole rats. Cancer is generally caused by abnormal mutation of the cells in our bodies. The substances that cause these mutations are generally known as carcinogens. Animal carcinogens, therefore, include chemicals such as aflatoxins. What Is Lymphoma in Cats? Lymphoma, also known as lymphosarcoma (LSA) is a common type of cancer that affects cats. The disease affects the lymphatic system of the feline animals. The lymph system consists of a network of vessels and nodes through which foreign disease-causing organisms are circulated and later destroyed. The lymph nodes usually contain lymphocytes which are special white blood cells which destroy disease-carrying micro-organisms. In cases where we have lymphoma, the lymphocytes usually destroy the normal body tissues as opposed to the disease-causing micro-organisms. The lymphoma cells usually develop into a lymphoid tissue anywhere in the body. However, specific body organs that are affected by the cells include the lymph nodes, the GI tract, the kidneys, the spleen, liver, the nasal cavity, the skin, the eyes, and mediastinum. Lymphoma in cats is caused by different carcinogenic substances that are contained in second-hand smoke. This smoke usually settles on the cat’s fur and is later ingested as the cat licks its fur. Cases of Lymphoma are so common that they affect more than a third of all malignancies in cats. Signs and symptoms of Lymphoma in cats basically depend on the part of the body that is infected. Lymphoma that occurs in the gastrointestinal tract is characterized by symptoms that are very different from those of the lymph nodes. 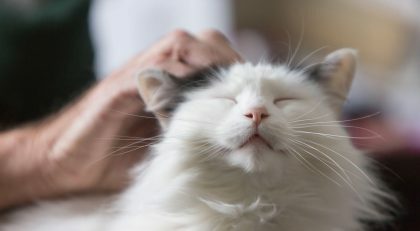 However, the general symptoms of lymphoma in cats include rapid weight loss, anorexia, lethargy, diarrhoea, vomiting and excessive thirst and urination. Nasal Lymphoma in cats is characterized by nasal discharge, nasal bleeding, facial swelling and constant sneezing. Spinal lymphoma, on the other hand, is characterized by limb weakness and eventual paralysis. Signs of renal lymphoma are loss of appetite, excessive urination, and thirst as well as depression. Alimentary lymphoma, on the other hand, is characterized by loss of appetite, weight loss, blood in stool, constipation and vomiting. Lymphoma in cats occurs in different forms and types depending on the location of the abnormal lymphoid tissue. As earlier mentioned, lymphoma can occur anywhere in the body. However, the common types of Lymphoma in cats are listed below. The alimentary lymphoma, also known as the gastrointestinal lymphoma affects the gastrointestinal tract, the abdomen, and all the surrounding lymph nodes. It is the most common type of lymphoma and is responsible for most deaths that occur in cats. The disease is mainly classified into low, intermediate and high-grade lymphoma depending on the progression of the disease. The alimentary lymphoma is divided into two depending on the size of neoplastic lymphocytes. Low-grade lymphoma is characterized by large and well-defined neoplastic lymphocytes while high-grade lymphoma is characterized by small and poorly defined neoplastic lymphocytes. Alimentary lymphoma in cats is basically diagnosed by obtaining and evaluating gastrointestinal tissues. The tissues are either obtained endoscopically or through exploratory laparotomy. To confirm the diagnosis and differentiate it from other inflammatory diseases, biopsies of the intestinal and the extra-intestinal tissues are evaluated. This type of lymphoma generally affects multiple nodes or multiple organs. It is often characterized by the painless swelling of the lymph nodes. It mainly affects the mesenteric cells, the liver, and the spleen. It is, however, less common in cats. 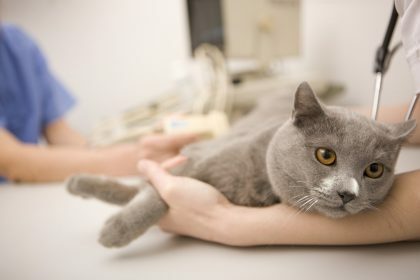 To determine which part of the body has been affected, veterinary doctors usually conduct various tests such as urinalysis, an ultra-sound, a blood count and serum chemistry. Once the general affected location has been identified, the occurrence of the disease is usually diagnosed confirmed through microscopic examinations of biopsies and tissues from the affected location. The Mediastinal lymphoma in cats is also very common. It affects the lymph nodes in the mediastinum (the thorax area of the cat). It is usually caused by the Feline Leukaemia Virus (FLV) which can cause the transformation of the lymphocytes. 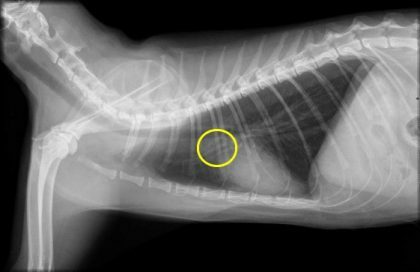 To diagnose this type of lymphoma, the cats are taken through radiography, ultrasonography, computed tomography, cytology, and histopathology. While treating lymphoma, it is important to remember that just like other forms of cancer, it is not curable. Hence, chemotherapy only aims at providing a fairly good quality of life for the feline creature. The common form of treatment for feline lymphoma is through chemotherapy. Veterinary doctors usually administer a combination of oral and injectable medication depending on the stage of the lymphoma and the health of the animal. 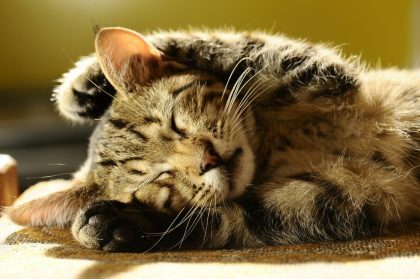 Generally, chemotherapy weakens the body of the feline creature and affects its physical activities. As a result, chemotherapy treatment is usually administered in a structured treatment program. An example of such a program is weekly chemotherapy for two months followed by bi-weekly chemotherapy for a duration of 6-12 months depending on the stage of the lymphoma. Common drugs used in chemotherapy are chlorambucil, doxorubicin, cyclophosphamide, vincristine, and L-asparginase. To determine how effective the chemotherapy is, the veterinary doctors closely watch the count of the white blood cells in the system. In animals, the main goal of chemotherapy is remission. Remission refers to a state in which most of the cancer cells are killed, and the symptoms of cancer have temporarily disappeared. Most cats achieve complete remission while a few do not. The use of radiation is also common in the treatment of lymphoma in cats. Radiation uses penetrating beams to kill the DNA of the lymphoma cells. Once the DNA has been destroyed, it is impossible for the lymphoma cells to reproduce hence preventing them from multiplying. Furthermore, only the affected area, as opposed to the entire body, is usually irradiated with the beams. It is preferred to chemotherapy since it is painless and does not affect the physical activity of the cat. Other methods commonly used to treat lymphoma in cats include thoracocentesis and surgery. Cannabidiol (CBD) has been used successfully in many human studies as an anti cancer supplement and has proven some good results. The supporting research is out there if you just do a little bit of searching around. Animals can benefit from CBD just like we do. As a matter of fact any animal with an Endocannabinoid system can enjoy the same health benefits of CBD. All mammals including cats, dogs, and horses have the same Endocannabinoid system. Lymphoma, just like other forms of cancer is very frightening to most of us. Most times, there is little that can be done to prevent lymphoma. However, there are a few lifestyle measures that can be taken to avoid the general occurrence of lymphoma in cats. Cat owners have the responsibility to keep their cats away from any known carcinogens. They should read through the ingredients contained in household cleaners and any sprays used to control the occurrence of pests. 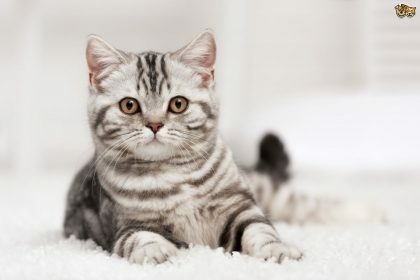 In addition, cat owners have the responsibility to ensure that their cats eat a proper well-balanced diet and are well vaccinated to ensure good health in them. Cats should always be vaccinated against the Feline Leukaemia virus (FLV) which is common in the cat population. Most times, it is the outdoor cats that come into contact with the carcinogenic substances. 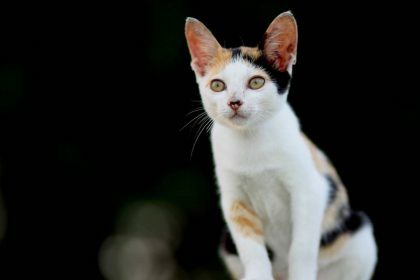 To prevent your cat from coming into contact with the carcinogenic substances, cat owners should keep their cats away from the outdoor cats.